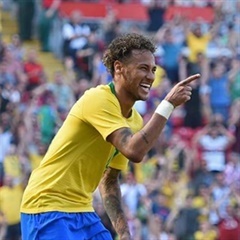 Brazil superstar Neymar has brushed off his critics after firing the five-time SWC winners to victory over Mexico into a quarter-final showdown with Belgium. Mexico coach Juan Carlos Osorio hit out at Italian referee Gianluca Rocchi's handling of their 2-0 World Cup quarter-final loss to Brazil. Brazil are through to the quarter-finals of the 2018 Soccer World Cup after an emphatic victory over Mexico at the Samara Arena. Brazil coach Tite made only one change with Filipe Luis stepping in to replace injured Marcelo for the World Cup last 16 clash against Mexico. Follow all the action as it happened of the Round of 16 clash between Brazil and Mexico at the Samara Arena. Brazil will look to keep their bid for a record sixth Soccer World Cup crown on track when they face Mexico on Monday. Mexico coach Juan Carlos Osorio believes an unfettered attacking approach can help El Tri end a double hoodoo by beating Brazil. Russia may be basking in a rare atmosphere of fun and revelry during the Soccer World Cup, but for the authorities, there are limits. Ecstatic Mexican fans besieged the South Korean embassy in their capital to celebrate with diplomats after the Asian team stunned Germany. Mexican fans plunged into anguish by their team's drubbing by Sweden exploded into celebration when South Korea defeated Germany. Sweden have sensationally beaten Mexico in their Group F 2018 Soccer World Cup encounter played in Yekaterinburg. Javier Hernandez says that a buoyant Mexico want to "accomplish the impossible" and win the World Cup in Russia.